With the Presidential election only weeks away and “Citizenship” as the monthly advancement theme for the month of October, Troop 353 scouts decided to explore the fertile Hudson Valley further. We are blessed to live in an area that has so many areas of historic importance within a short drive. So, American Heritage merit badge counselor and Troop 353 Webmaster Tom Watson organized our logical destination: the scenic Hyde Park area of NY and the historic home site of Franklin Delano Roosevelt (FDR). The timing was excellent as the peak in fall foliage was about a week or two away. The troop camped at the beautiful Margaret Lewis Norrie State Park (MLN-SP), ranked as one of the top campgrounds in the country and less than 5 miles from FDR’s historic estate. Prior to departing for a complete tour of the FDR estate & Presidential Library, Troop 353 scouts performed an hour of service project work around the marina inside the MLN-SP. 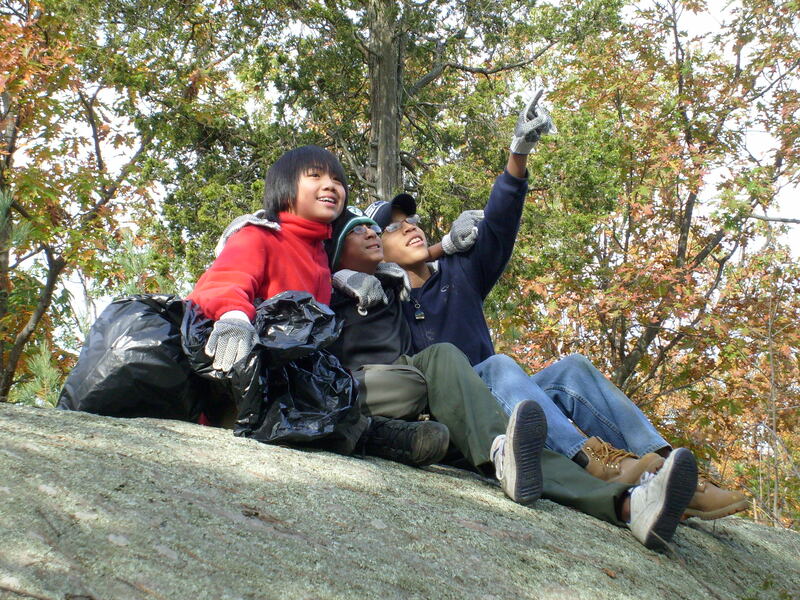 The area was a geographical playground for our scouts with its diverse rock formations and cliffs overlooking the scenic Hudson River. I have never seen our boys have so much fun picking up garbage (and yes we did gather a fair amount of trash)! Many of the Troop 353 members had never visited the estate of FDR, which is part of our National heritage (http://www.nps.gov/hofr). Everyone was amazed at the breadth of activities, the impressive scope of the FDR Presidential Library & Museum and the actual size of the FDR estate! It was easy to lose track of time and equally easy to see why so many people were visiting this treasured National historic site! Upon returning to our private campsite in MLN-SP, the scouts prepared dinner and then participated in a fun-filled evening of entertainment around the main bonfire under a star-lit night sky! The next day, after breakfast and an Interfaith Prayer Service, our departure was delayed by a much-deserved break to allow the boys some time to play on a steep embankment of dirt that turned into the ultimate playground! It was rumored after that weekend that many of the boys were so filthy that their clothes were beyond cleaning and had to be destroyed!! All in all, it was an awesome weekend and everyone involved got a fresh appreciation of the importance of being good stewards of Citizenship! As proof, just check out these great photos here! !